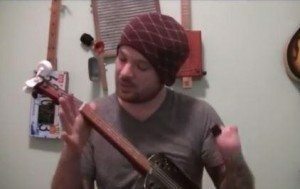 ukulele how-to | The How-To Repository for the Cigar Box Guitar Movement! We’ve just added three new video how-to lessons for Cigar Box Ukulele to the knowledgebase. 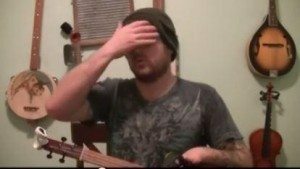 Dan walks you through playing these three songs with his usual wit and gusto. Two of them are old traditional songs that have been recorded many times over the years, and the third one is a much more recent composition by none other than Willie Nelson. We’ve just added the second of two new how-to-play video lessons from One-hand Dan Russell, showing you how to play “Freight Train” and “Take ‘Em Away“. Like all of Dan’s lessons, he presents these two songs with energy and gusto, and these are great songs to have in your ukulele toolbag. 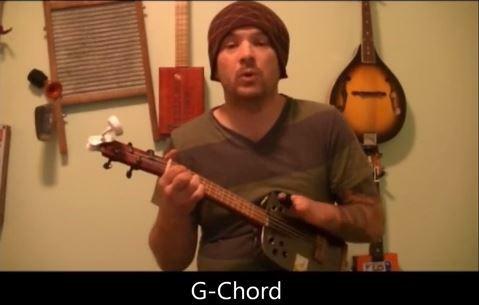 Click below to view the knowledgebase entries for these two songs, which include the ukulele chords you’ll need to strum along. Four New Cigar Box Ukulele Lessons Added! We just got done adding four new cigar box ukulele how-to video lessons to the knowledgebase. All four were created by One-hand Dan Russell, our resident ukulele expert. Stack-o-Lee – a classic old bluesy song, also known as “Stagger Lee”, which has been sung by a wide range of musicians from Mississippi John Hurt, to Dr. John and many more. If I Needed You – a beautiful folk/country song written by Townes Van Zandt, that Emmy Lou Harris did an amazing version of. I Still Miss Someone – One of Johnny Cash’s better-known compositions, this great old song tells a tale of longing… “Oh I never got over those blue eyes…” Emmy Lou Harris, Stevie Nicks and many other musicians have also done versions of this song. Take a Whiff On Me (Cocaine Habit Blues) – though its subject matter may now be considered taboo in polite company, this is a classic American blues/folk song first documented and published by Alan Lomax in the 1930’s. It has been covered by a wide range of performers from Woodie Guthrie to Jerry Garcia to the Old Crow Medicine Show. That’s it, so grab your ukes and get to pickin’! 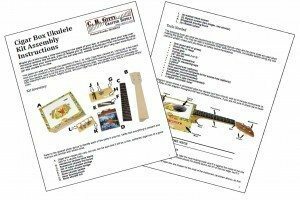 Author C. B. GittyPosted on March 8, 2015 March 8, 2015 Categories How-to Info, Site NewsTags cigar box ukulele, how to play ukulele, one-hand dan russell, ukulele how-to, ukulele lessons1 Comment on Four New Cigar Box Ukulele Lessons Added!